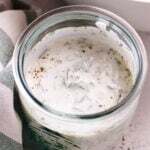 Why Homemade Healthy Ranch Dressing? 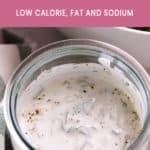 This healthy ranch dressing recipe is a low calorie alternative to high in fat, cholesterol and sodium store bought one. If you compare nutritional info serving to serving (even the “healthy” one), I promise you will be stunned as me. Calories: 30 vs. 290. Shut the front door! Fat: 30 vs. 3. OMG. Cholesterol: 12 vs. 20. OK, not that bad. Sodium: 272 vs. 686. “Thank you” says my blood pressure. Are you convinced you need to make your own yet? What Are Ingredients for Healthy Ranch Dressing? No nasty soybean oil or high calorie mayo. Buttermilk, plain 2% or whole milk yogurt or Greek yogurt (thin out with a bit of water if too thick) work. No mustard, lemon juice or vinegar. Honestly, that’s what makes many Americans hate cooking – too complicated. It’s not how Europe eats. I used garlic powder for a subtle garlic flavour rather than a shot in your nostrils and a punch in your co-workers’ face with fresh garlic flavour. 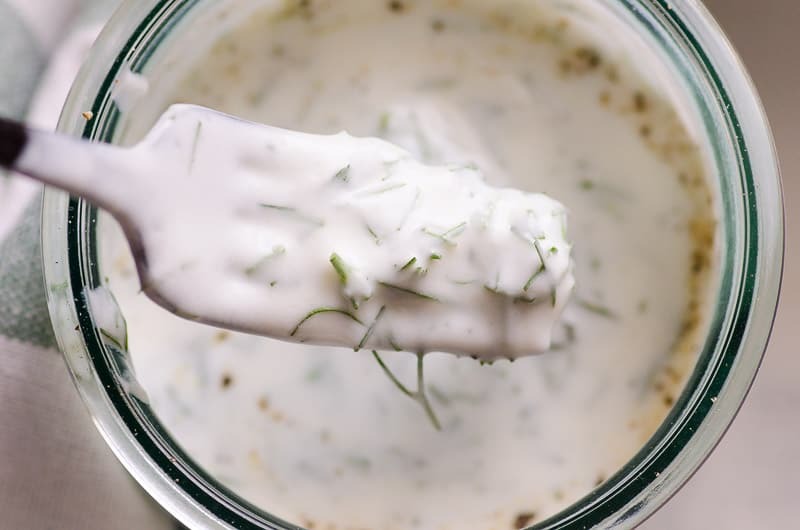 If you are making this ranch dressing mid-winter, dried dill weed would work. Obviously not as good as fresh but you will get desired flavour pretty close. Make once, use in any salad all week. In a small jar with lid, add yogurt or buttermilk, dill, garlic powder, salt and pepper. Stir with a fork or shake the jar well. Serve over any salad of your choice. 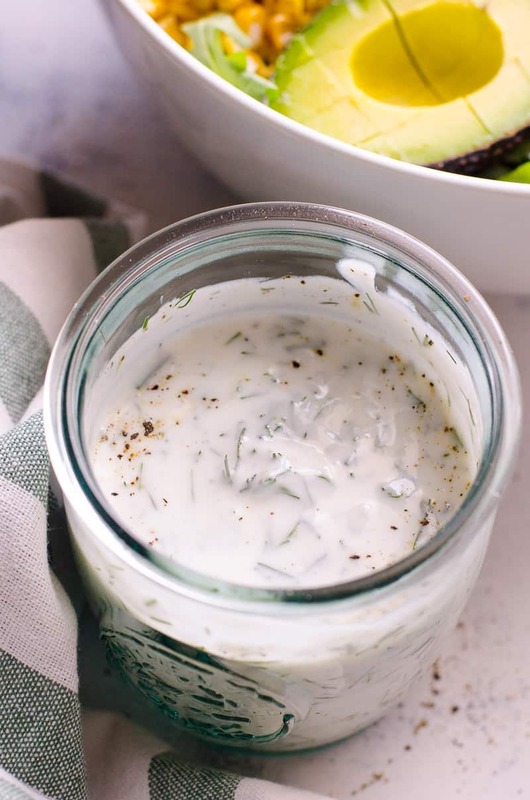 Healthy Ranch Dressing Recipe with Greek yogurt or buttermilk is a low calorie alternative to high in fat, cholesterol and sodium store bought one. 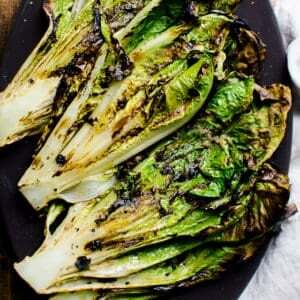 Make once, use in any salad all week. 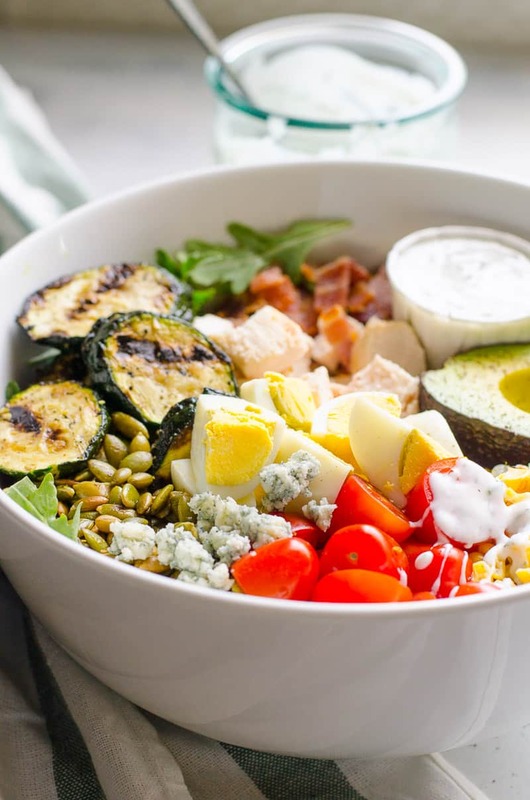 Serve over any salad of your choice, like healthy cobb salad. Store: Refrigerate in a jar for up to 7 days. I used garlic powder for a subtle garlic flavour rather than a shot in your nostrils and a punch in your co-workers’ face with fresh garlic flavour. 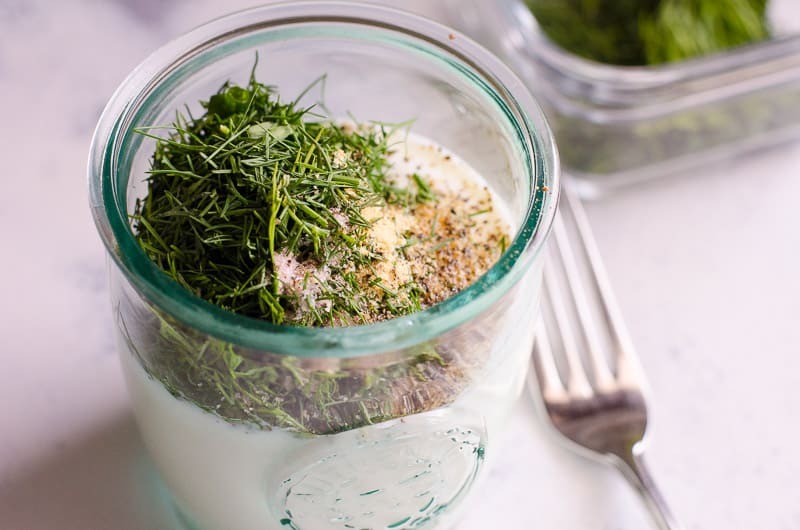 If you are making this ranch dressing mid-winter, dried dill weed would work. Obviously not as fresh but you will get desired flavour pretty close.